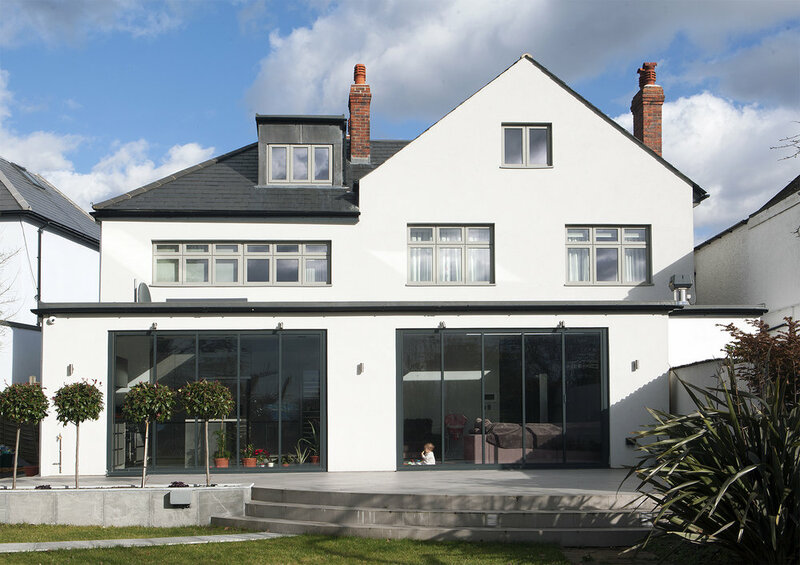 When we were commissioned on this project, the house had been unoccupied for years and was in an extremely dilapidated state. But now it truly gleams. An exquisitely designed glass and welded steel staircase rises through the property with a huge rooflight above bringing natural light down into the foyer. The slickness of the staircase is set off perfectly with the textured Venetian plaster wall and the beautiful parquet flooring. 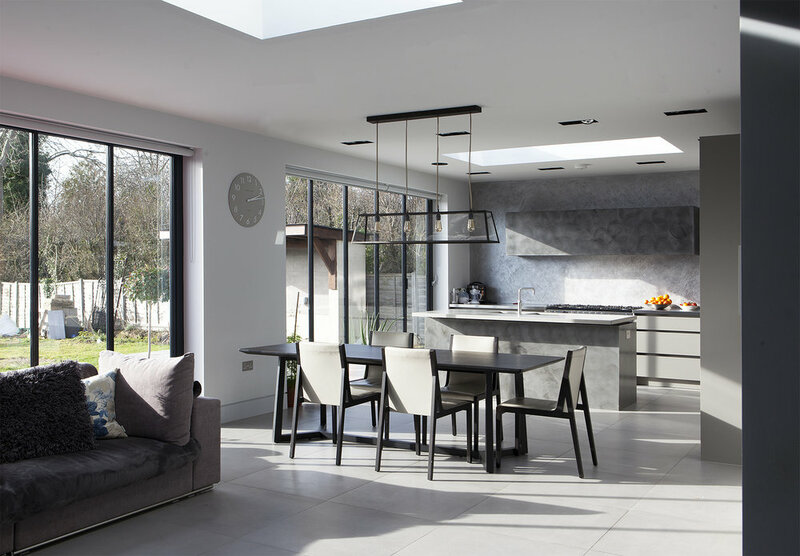 In the kitchen a mix of metallic and matt grey cupboards with a stainless-steel worktop and polished plaster wall really sing together.